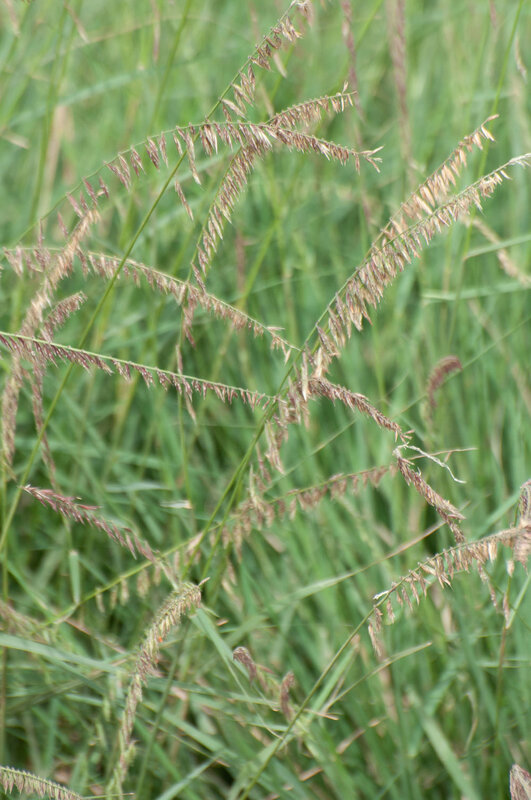 Sideoats grama is the official State Grass of Texas. The South Texas Germplasm is a blend of 6 collections from Atascosa, Frio, Medina, Uvalde, and Val Verde counties. Its wide distribution and value as livestock forage make it an important pasture grass statewide, and the South Texas release shows superior vigor and production compared to other available releases grown in South Texas. Good forage for livestock and cover for ground nesting birds. Also used for right-of-way planting and oil/gas reclamation. Our Texas Natives are certified "Selected Texas Native Germplasm" by the Texas Department of Agriculture. Each variety is of a specific ecotype of its species that was locally sourced from counties in Texas. Planting: Plant in early spring or late summer-early fall at a rate of 5 lbs. pure live seed per acre at 1/8 to 1/4 inch deep.